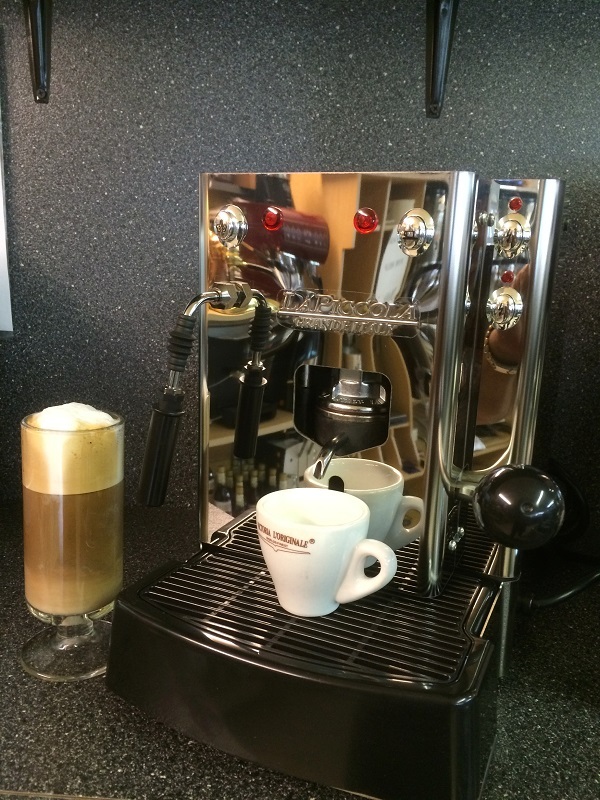 Sara is an Espresso/Cappuccino machine that has two separate boilers. This allows you to steam milk while you brew espresso. 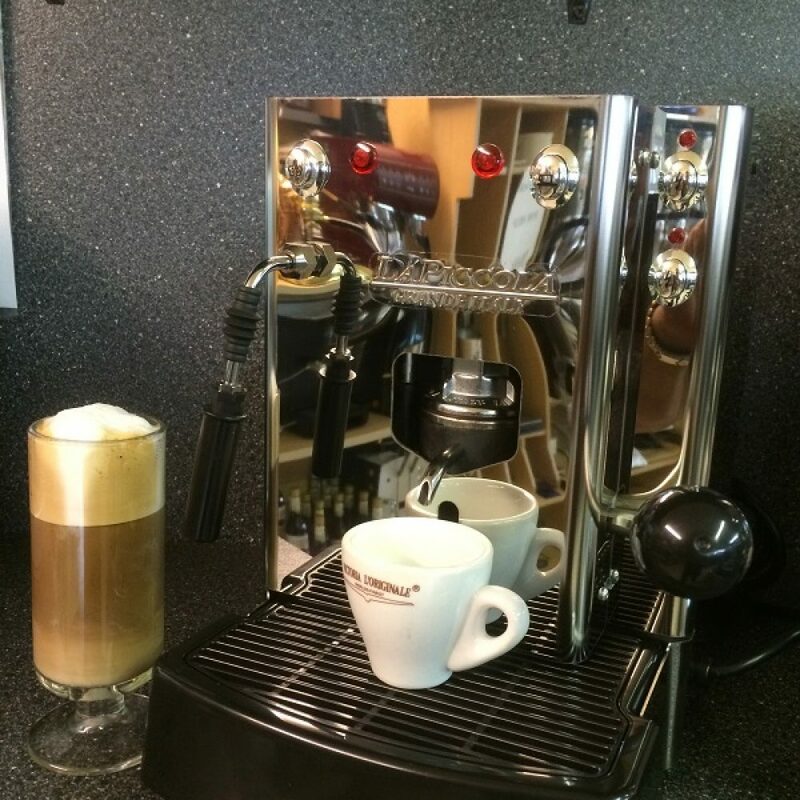 This state of the art machine is completely built and designed in Italy. 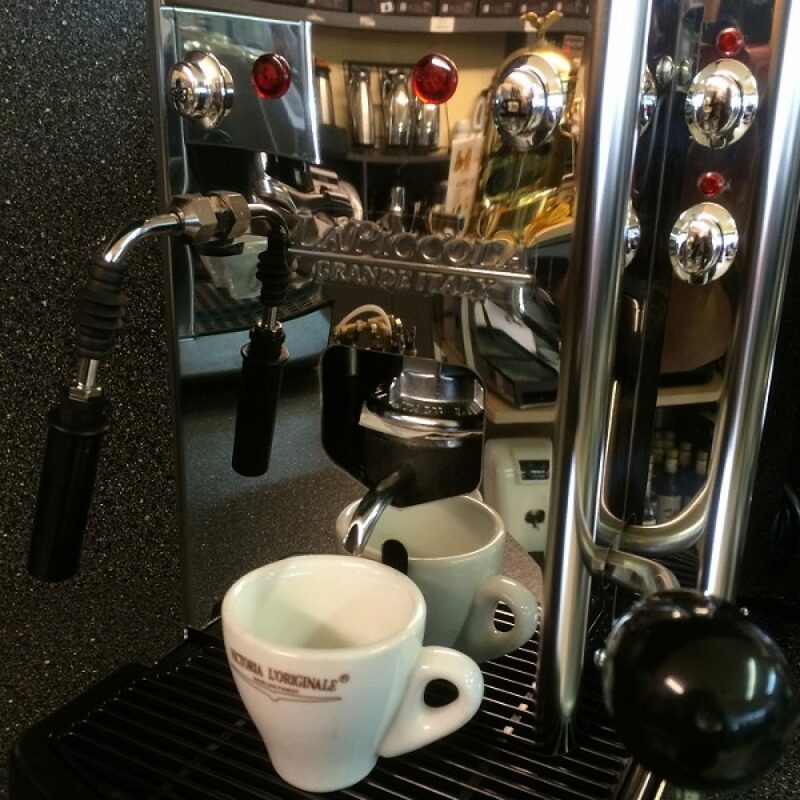 Uses pods for an easy, no mess, perfect creama espresso each time! 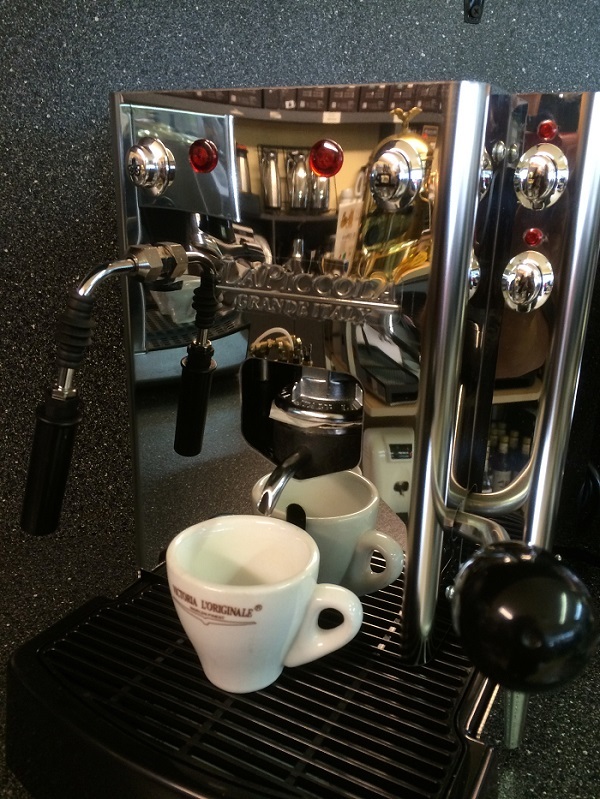 It’s also equipped with an easy pannarello milk frother, guaranteeing you will always have professional quality steamed milk to impress your guest. 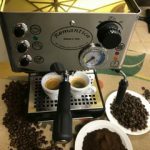 With the espresso pods you are assured to have a rich creama espresso in less than 20 sec, with no messy coffee grounds to clean!